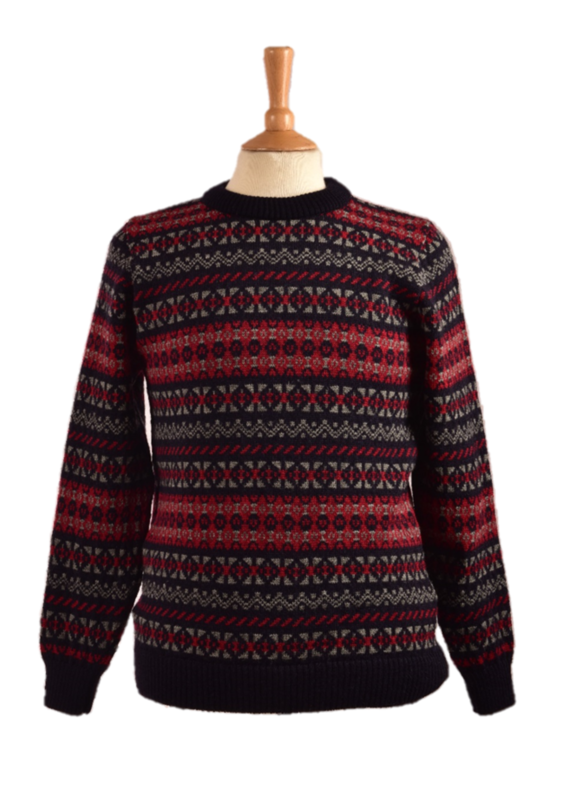 The eye-catching chunky Sumburgh Fairisle crew neck sweater that will keep you warm in style. Whether you are on the mountains, out for a chilly walk or relaxing at home, it will look and feel great. Fairisle Pattern with plain trim at neck, welt and cuffs. The garment has set-in sleeves.